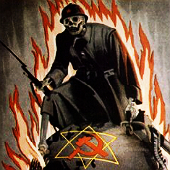 It is often claimed the 3rd Reich was a totalitarian and oppressive regime that stifled all technologically innovation in order to oppress Jews and other ethnic minorities. In fact, I recently came across someone who stated that in just over a decade of power, the Nazis basically invented nothing of value and had no significant technological advances. It was of course largely blamed on the lack of "Jewish genius" due to Hitler's alleged "paranoia"
So I did some reasearch and found these links, and figured we should have a thread detailing technological achievements during the Third Reich, and the theft of this intellectual property by the Allies. It is a fact that countless technological developments by the Germans were stolen after WWII by the victorious Allies. Some articles I have cited claim that there were hundreds of thousands of patents stolen at the end of WWII. The V2's rocket technology was used by the USA to go to the moon. Without Werner von Braun, the Americans possibly wouldn't have been able to achieve what they did in the space race. And let's not forget about Volkswagen, Porsche and the Autobahn, or the many architectural achievements of the Third Reich. The Z3 is widely acknowledged as being the first fully functional automatic digital computer, and Konrad Zuse is acclaimed by computer scientists as being the most admired and respected computer pioneer. Infra-red/night vision technologies and also CCTV (video surveillance) were invented under the Third Reich. The hull of the first nuclear submarine, the Nautilus, was based on the Walter hull developed by the Germans for the elektroboots. It seems that they invented 3D films as well. From: The Barnes Review, March/April 1999, pp. 27-33.